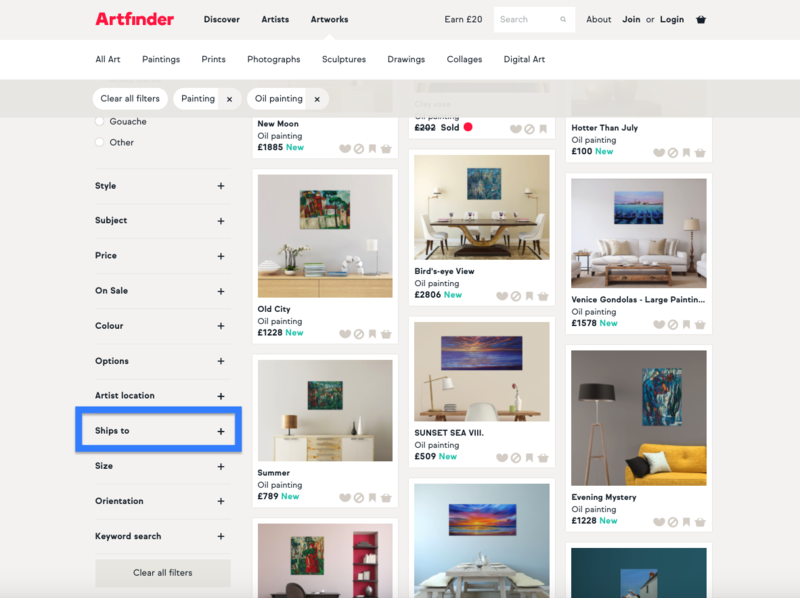 What destinations do Artfinder artists ship to? As all artworks sold on Artfinder are dispatched directly from the artist, the shipping destination really depends on them! When searching for art, we recommend you filter by your location by using the ‘Ships to’ option. If you fall in love with an artwork but the artist does not ship to your country, simply reach out to the artist via our messaging system with your shipping request. To find out how to contact an artist, click here.